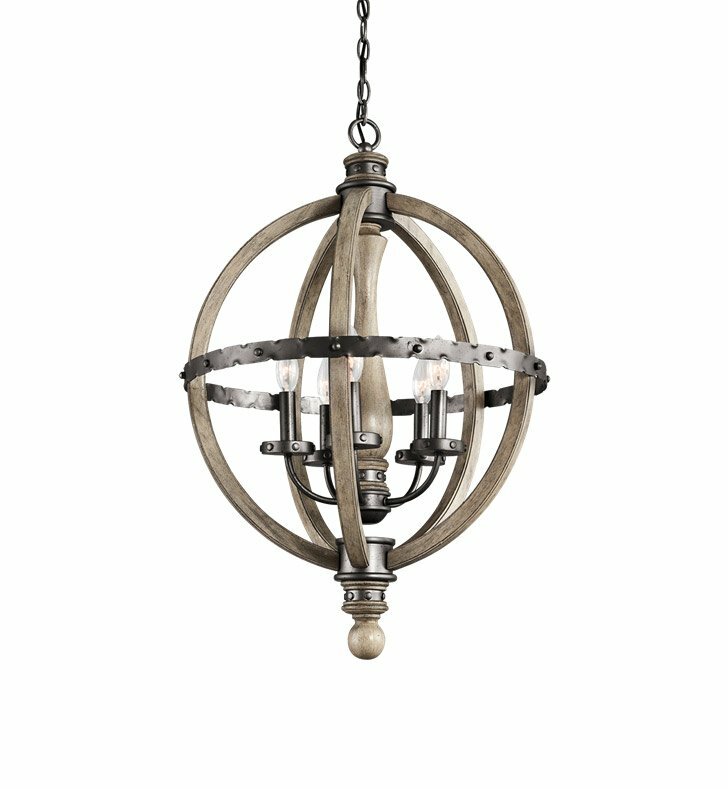 Questions about Kichler Lighting 43324DAG? The Lara collection from Kichler allows you to add the allure of candles to any room, yet you can turn them on with the flip of a switch. At first glance you will notice the delicate scrollwork on this 6 light oval chandelier, but look closer and you'll see how clear shades actually surround beautifully detailed glass candle replicas. Crystal accents and a Classic Pewter finish add even more sophistication to this timeless style. Dimensions: H 30" x W 20"